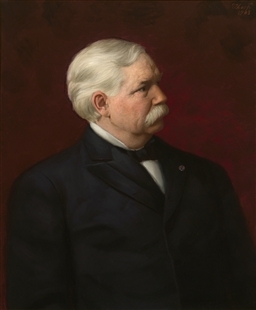 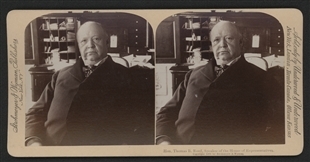 Stereoview producer Strohmeyer and Wyman made a series of political portraits in 1898, including Judiciary Committee Chairman—and soon-to-be Speaker—David Henderson. 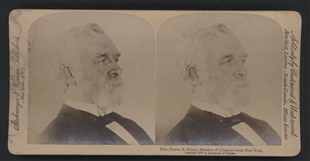 Speaker Thomas B. Reed, Representative Sereno Payne, and Senator George Hoar were also on the list of subjects photographed. 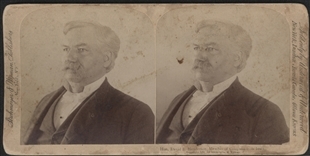 Most are posed in the straightforward manner seen in the Henderson example.